Home / غير مصنف / Snow forecast UK: Will it snow tomorrow? Is it going to snow tonight? Snow forecast UK: Will it snow tomorrow? Is it going to snow tonight? 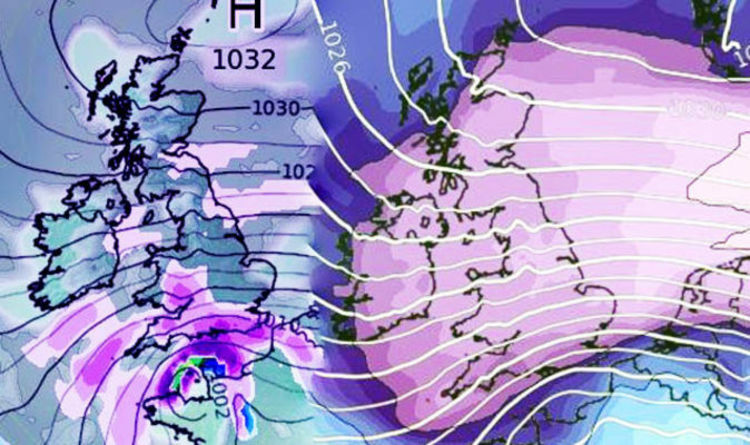 Both yellow and amber weather warnings are in place this weekend as the Met Office warns almost a foot of snow could blanket the worst hit regions this weekend sparking warnings to ‘stay indoors’. Met Office meteorologist Mark Wilson said: "The best way to describe this is as a real return to wintry conditions. "The last couple of days have been quite mild across parts of the UK - we got to around 16C yesterday in Wales - but by tomorrow all of us will be back to very cold weather. "Bitterly cold is the best way to describe it - temperatures on the face of it probably just around freezing but with wind, it's going to feel well below freezing." Temperatures are forecast to plummet tomorrow as icy winds roar in from Russia via Poland and Eastern Europe. More heavy snowfall hitting just weeks after a near-nationwide whiteout could see rafts of winter records topple. Amber snow and ice warnings have been issued for Saturday afternoon, stretching into Sunday morning with snow showers expected to become more frequent through Saturday evening and night with icy patches also developing. Warnings are in place for both in London and parts of the South East and also in the East Midlands into North West England and Yorkshire. In a statement on the Met Office website, the Chief Forecaster said: “Snow accumulations will be variable across the area as showers are expected to organise into bands. “Whilst some areas will receive relatively small amounts of snow, narrow bands of 5-10 cm of snow are likely, with a chance of 15 cm over higher ground. The amber weather warnings begin at 4pm on Saturday and extend through the night, until 9am on Sunday. A Met Office yellow weather warning for ice is also in place for parts of southern Scotland and northern England on Saturday morning. The warning will be in effect from shortly after midnight on Friday until 9am. "Following the clearance of an area of rain and snow, ice will form on untreated surfaces Friday evening and persist into Saturday morning," the chief forecaster said. Is it going to snow tonight? On Friday night, a yellow severe weather warning of snow and ice for eastern parts of the UK has been updated by the Met Office. The warning will be in place from 6pm until 11.55pm, when up to 5cm of snow could fall over high ground. The Met Office said: “Rain will increasingly turn to snow above around 200 metres during late Friday afternoon and evening. “By the end of Friday evening, 2-5 cm of snow may accumulate on high ground above 200 metres. Some snow is likely even to low levels by late Friday evening with a very patchy 1-2 cm possible in places.